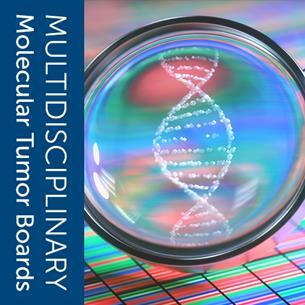 Participant Instructions: Welcome to the Molecular Oncology Tumor Board Series! This educational initiative is a collaboration between the American Society of Clinical Oncology (ASCO), College of American Pathologists (CAP), and Association for Molecular Pathology (AMP). A new case will be presented bi-monthly with discussions led by an expert pathologist and medical oncologist. This month’s topic is led by Drs. Ron Bose (Medical Oncologist from Siteman Cancer Center at Washington University School of Medicine) and Veerle I. Bossuyt (Pathologist from Massachusetts General Hospital). Learners are encouraged to leave comments and post questions about the case in order to generate a wide discussion among the cancer care community. You can also receive email notifications when new comments are posted by clicking the “Follow this Conversation” option located at the bottom of this page. When posting, please abide by the terms and conditions of this website. A 66-year-old Caucasian woman initially presented in fall 2014 with what was thought to be a stage IIIB left-sided breast cancer. She underwent mastectomy that showed a 4.3 cm poorly differentiated invasive ductal carcinoma in the left breast, with 1/11 lymph nodes positive. Immunohistochemistry was ER and PR weakly positive (ER 2% of cells, Allred score 4/8 and PR in 4% of cells, Allred score 3/8). HER2 immunohistochemistry was equivocal at 2+. A FISH test was performed which showed a HER2/CEP17 ratio of 0.9. Ki-67 immunostaining was high at 68%. Because of concern considering the size of the tumor, a PET-CT scan was ordered after the mastectomy and it showed two small liver lesions. ERBB2 (HER2) insertion mutation of V777_G778insGSP. Variants of unknown significance: EGFR G573E, ABL1 K226R, and NOTCH-1 V1285L. The patient's initial treatment was paclitaxel chemotherapy, but the disease progressed after several cycles. The patient was enrolled on a phase 2 clinical trial of neratinib for HER2 mutated breast cancer. She received prophylactic loperamide with the neratinib and she tolerated this medication well. CT scan after three months showed resolution of the liver lesions. The patient remained on neratinib for a total of eight months and came off trial because of disease progression. What tests can identify a HER2 mutation? What information is known about this HER2 (ERBB2) mutation V777_G778insGSP? What is the rationale for selecting neratinib to treat this patient? Diagnosis of HER2 mutations requires a gene sequencing panel be ordered either on the patient’s blood (for liquid biopsy of cell-free, circulating tumor DNA) or on a tumor biopsy. HER2 mutations cannot be identified by immunohistochemistry (IHC) or FISH. V777_G778insGSP is a known activating mutation in the tyrosine kinase domain of HER2. This is an insertion mutation in exon 20 somewhere between position 771 and 781 in the HER2 (ERBB2) gene. These mutations introduce up to four amino acids in the HER2 protein. These insertions can vary in terms of the sequence of the amino acids, or how they are reported by different labs. For example, these insertion mutations can also be called duplication mutations because many of them duplicate 2 to 4 amino acids in the HER2 protein. These exon 20 insertion mutations are most common in NSCLC but also occur in breast and other cancer types. Preclinical studies showed that neratinib was the most potent inhibitor for these mutations in breast cancer cell lines (Bose et al. Cancer Discovery Feb. 2013). Two phase 2 clinical trials have tested the effect of neratinib on HER2 mutated breast cancer and reported clinical benefit in 31%-40% of patients (Ma et al., CCR Oct. 2017 and Hyman et al., Nature Feb 2018). DNA sequencing is needed to identify a specific HER2 mutation. HER2 immunohistochemistry or FISH will not detect a mutation. ERBB2 (also known as HER2) encodes a member of the epidermal growth factor (EGF) receptor family of receptor tyrosine kinases. Dimerization of ERBB2 with other ErbB family members results in transphosphorylation of tyrosine residues in the receptors’ cytoplasmic domains, which in turn initiates downstream signaling pathways, including those involving mitogen-activated protein kinase (MAPK) and phosphatidylinositol-3 kinase (PI3K). ERBB2 amplification and/or overexpression has been reported in a variety of cancers, including breast and gastric tumors. In-frame insertions in exon 20 of ERBB2, which result in receptor activation, have been detected in 2-6% of lung adenocarcinomas. (Sholl LM. Arch Pathol Lab Med. 2015) Currently available ERBB2-targeting cancer therapeutics include trastuzumab, a humanized monoclonal antibody that targets the ERBB2 extracellular domain; pertuzumab, a humanized monoclonal antibody that inhibits ERBB2 dimerization; and a variety of small molecule drugs that inhibit the intracellular tyrosine kinase domain. In this patient with HER2-mutant, ER+/HER2 non-amplified, metastatic breast cancer, would you consider other anti-HER2 directed therapies such as trastuzumab or T-DM1? For this patient, would we consider endocrine-based therapy with/without CDK 4/6 inhibitor, and if so which regimen? As discussed in previous comment, pre-clinical studies have demonstrated that HER2 mutant cell-lines are generally resistant to trastuzumab, and there would be limited enthusiasm to consider trastuzumab alone for this patient. In terms of T-DM1, it is a slightly different question. While the trastuzumab portion of T-DM1 alone might have limited anti-tumor activity per se, it could theoretically allow entry of DM-1 in HER2 positive cells and contribute to tumor inhibition. In a phase-2 basket trial, Li et al reported a response rate of 44% among patients with HER2 mutant lung cancer (Li, et al. J Clin Oncol 2018). However, evidence of clinical activity of T-DM1 in HER2 mutant breast cancer has not been reported yet, and could be explored further in the setting of a clinical trial. Endocrine-based therapy with a CDK 4/6 inhibitor is a recommended therapy option for HR+ breast cancer. CDK 4/6 inhibitors are generally used in the first-line setting, but could also be utilized in the second line and beyond setting as demonstrated by multiple trials (Turner NC. NEJM 2017; Goetz M, et al. JCO 2017; Slamon D, et al. JCO 2018). More recently, updated results from the PALOMA-3 trial demonstrated a trend towards improved overall survival with fulvestrant and palbociclib (Turner NC, et al. NEJM 2018). However, whether endocrine therapy with palbociclib would have the same clinical activity in HER2 mutant breast cancer is not known and needs additional evaluation. HER2 mutations requires a gene sequencing panel be ordered either on liquid biopsy or tumor biopsy. V777_G778insGSP is a known activating mutation in the tyrosine kinase domain of HER2. These mutations are most common in NSCLC but also occur in breast and other cancer types. Preclinical studies showed that neratinib was the most potent inhibitor for these mutations in breast cancer cell lines. The HER2 mutation has been reported to increase ERBB2 kinase activity in a mammary epithelial cell line in vitro, and in that study, the growth of cells harboring this variant showed sensitivity to neratinib but not trastuzumab or lapatinib. While the trastuzumab portion of T-DM1 alone might have limited anti-tumor activity, it could theoretically allow entry of DM-1 in HER2 positive cells and contribute to tumor inhibition. Endocrine-based therapy with a CDK 4/6 inhibitor is a recommended therapy option for HR+ breast cancer, but efficacy in HER2 mutant breast cancer is not known. Thank you to Drs. Bose, Bossuyt, and Bardia for leading the discussion of this case and also to all of those who contributed to the conversation! The forum is now closed to further comments but users have the opportunity to claim credit on ASCO University by clicking here. Please check back in December for a new case in this series.